So, I took a HUGE break from blogging as I simply couldn’t find the inspiration (or time) to write. But I am back, I think. 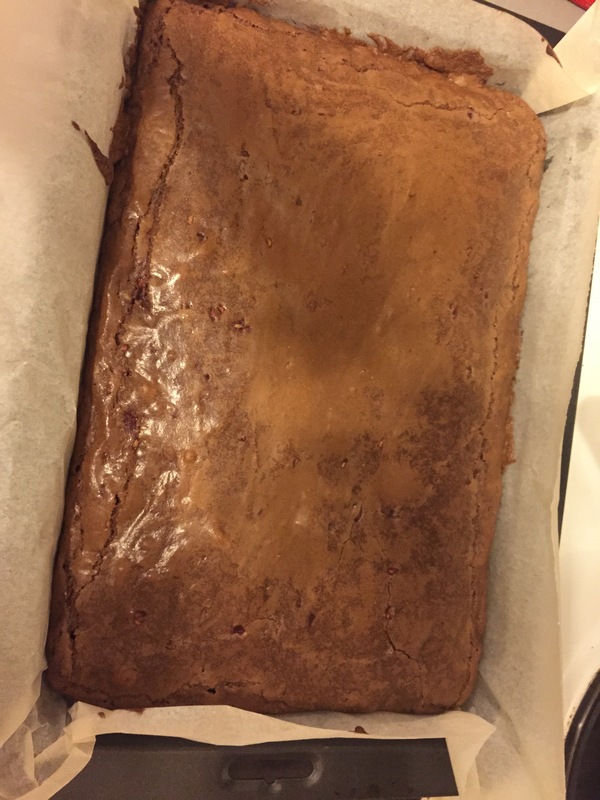 I thought for my first blog back I would go with a tasty treat, so I bring you a new recipe…Peanut Butter and Raspberry Brownies. 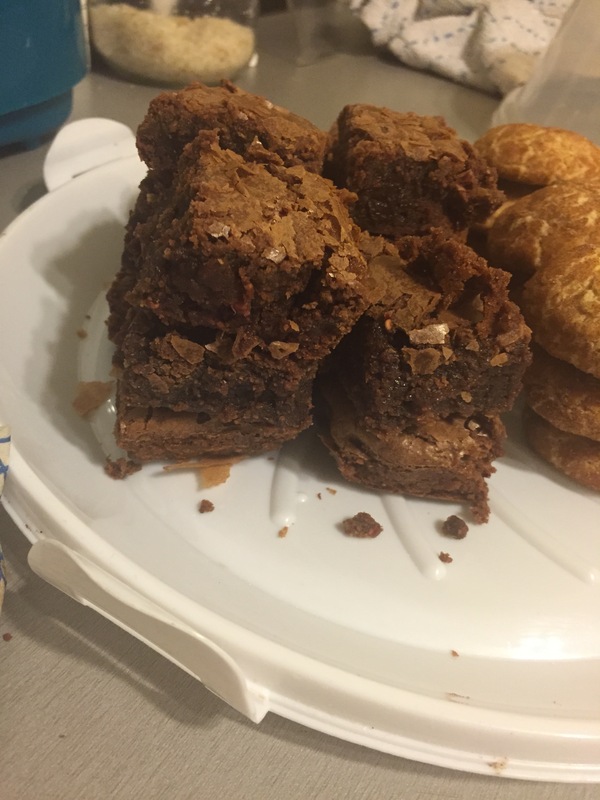 I LOVE making brownies, they make me happy and they are probably my best bake but if you know me at all you will know I love mixing things up and coming up with twists on my fave bakes. 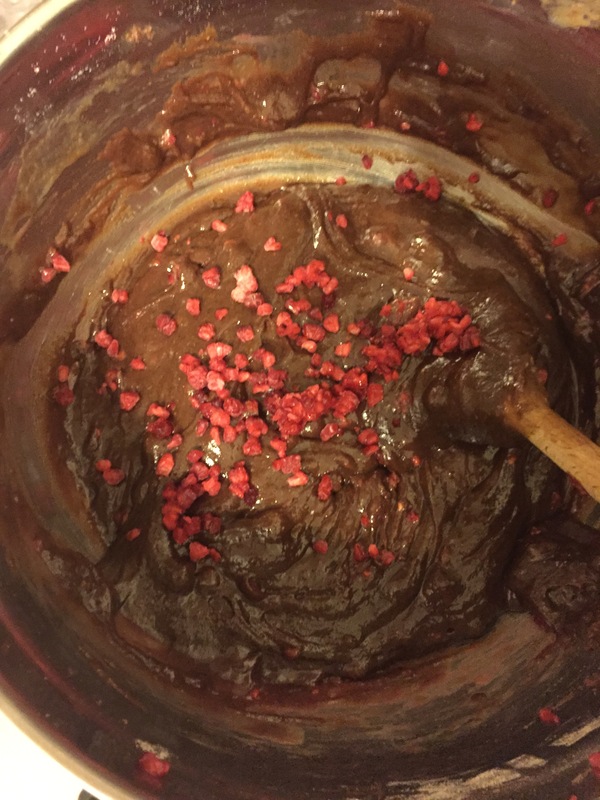 This twist combines rich chocolate, creamy peanut butter and tart raspberries to make a delicious, gooey brownie. 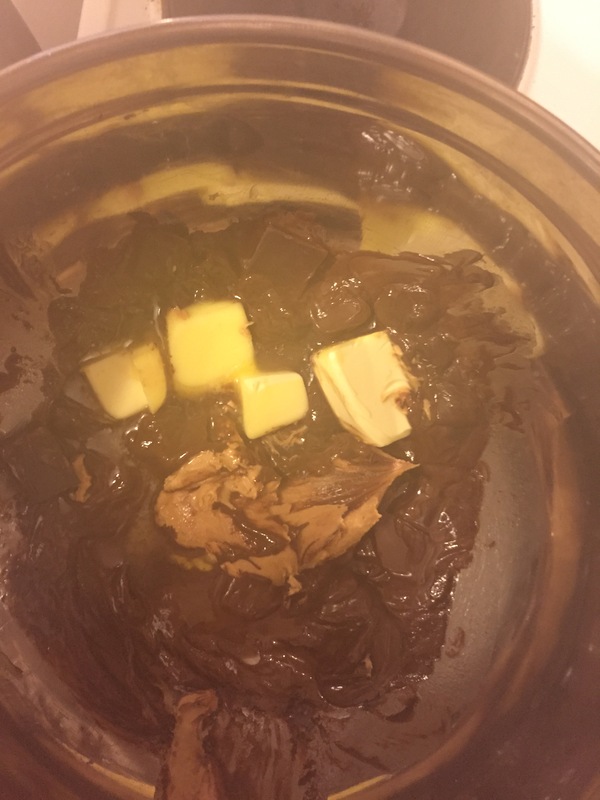 Melt the butter, peanut butter and chocolate in a heatproof bowl over a saucepan of boiling water…or a bain-marie, your choice! Leave until fully melted and silky smooth. I tend to stir it occasionally so as to make sure it melts evenly. Look at the chocolatey goodness! Add in the eggs, again I do this one by one. 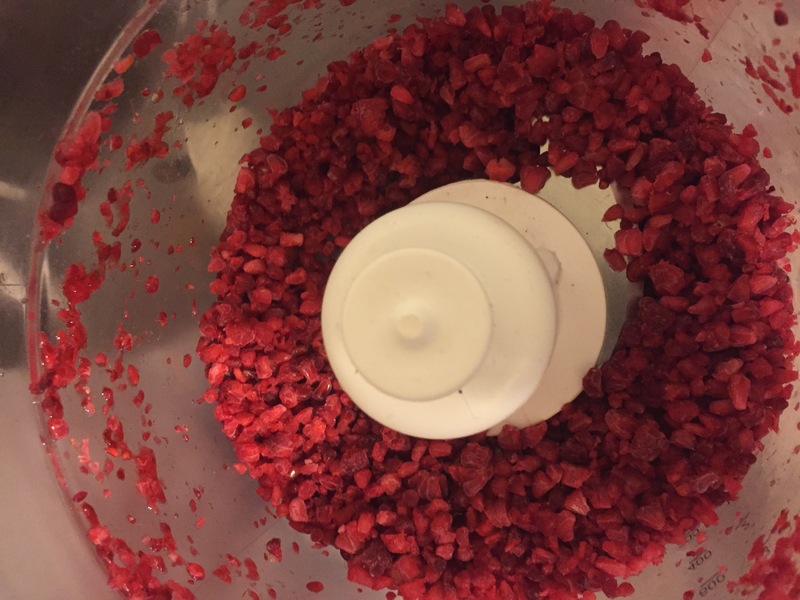 Finally add in the raspberries stirring through so they are evenly dispersed. Bake at 170°C for 30-35 minutes. It becomes flakey on top but is super squidgy in the middle. Leave it to cool for a short time in the tin and then use the lining to help you lift it out. Place on a wire rack to cool before slicing and enjoying. Probably with a cup of tea! 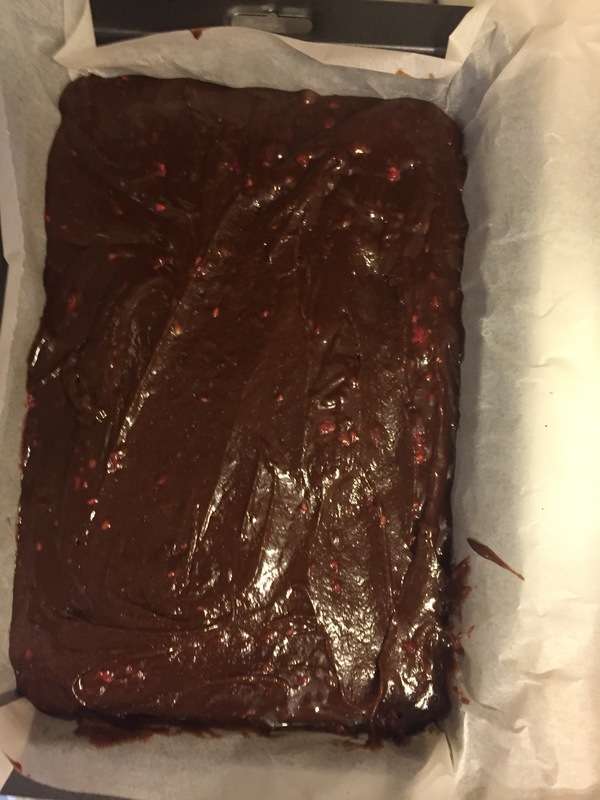 Just a quick note – I think I would possibly reduce the sugar a tiny bit and increase the raspberry content next time I make these. They are AMAZING but I wish there was a little more tang to them!